Who doesn’t like a good cable pillow? 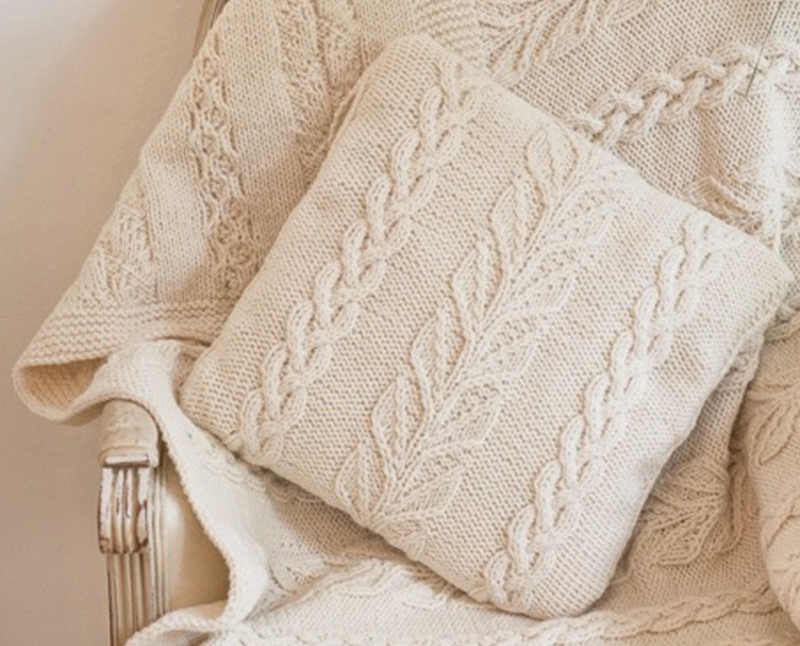 These 10 patterns are sure to bring a rustic charm to your home. Let me know which one is your favorite! 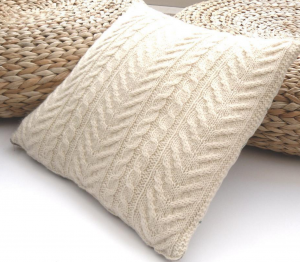 Download this rustic cushion cover pattern (part of a 4-design set) from Deramores for FREE! 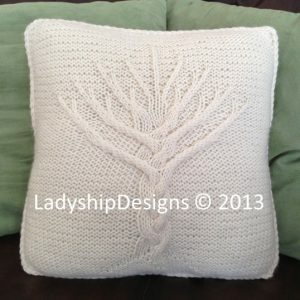 How about this stylish cable Tree of Life design? You can find it on the designer’s Etsy shop. This simple rustic pattern from King Cole is available at Deramores. 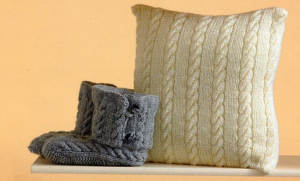 Pattern includes small & large cushions + slippers in 1-13 Years and adult sizes. 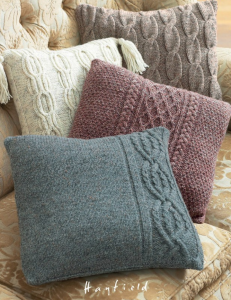 The pattern for this set of 4 cable cushion covers from Hayfield is available through Deramores for only 4$! 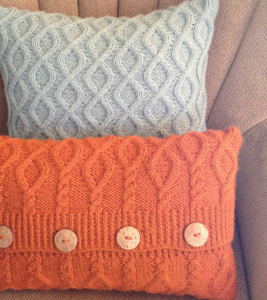 The pattern for this unique cable pillow cover with wood buttons is available on LadyshipDesigns’ Etsy shop. This vintage, elegant pattern from Deramores includes the cushion cover and a matching throw blanket in two different sizes. 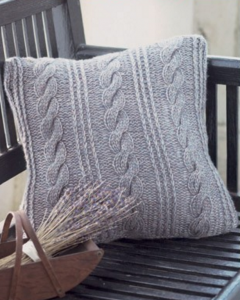 This delicate pattern from Jeanette Sloan features columns of tapered calliper cables growing out of the center of the cushion. 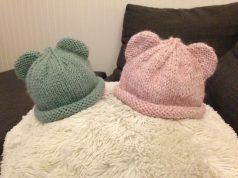 Buy it on Love Knitting. 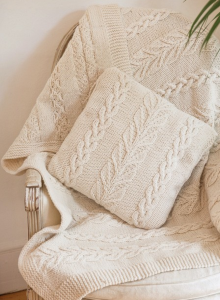 You can find this lovely beginner cable knit pattern by TheFeminineTouch on Craftsy. 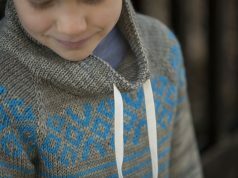 This classic yet original V cable design from Trista Hill is available through her Etsy shop. Last but not least! How cool is this cable owl design? 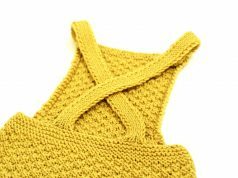 You’ll find this fun pattern by The Lonely Sea on Love Knitting.